Apart from looking for the best web hosting and tech company, most consumers also want to save some money in the process. This is the reason there are so many cheap web hosts all over the place. Is you are wondering on how to settle for a cheap web host that offers services you can write home about, we are going to give you some simple guidance on what you need to look for. You want to make sure that the low-cost is not the only reason you look at when making such an important decision. You only need to remember the old-time adage that says, “You get what you pay for”. The problem with most cheap web hosting companies is that they offer very small bandwidth intensity as well as disk space. This means that the company will end up charging extra fees for any more space that you will need. If the space is too little at the beginning, you will definitely need more space as the business grows; check the amount of space before committing yourself. If you are new in business chances are that you may not yet have a domain name; you will definitely need one to do have your unique online presence. Domain names come at varying prices depending on the company you use to register yours. However, you can use private domain name registration name, you will end up spending less as opposed to taking a package that includes domain name registration. 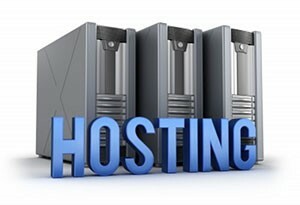 The best web host and tech companies that offer cheap services almost always include email accounts in their packages. You want to make sure that the company you are dealing with gives you as many email addresses as you would like to have. You also need to check that the capacity of the mailbox they give you is satisfying for your business needs. There is no doubt that you will want to upload files on your website every once in a while and, as such, you need to make sure that you have a FTP access to the server provided to you. There are a few web hosting service providers that only give you a browser-based uploading tool; you need more than one method of transferring web files to your host server for ease of doing business. Depending on what you want to upload on your site, you need several other web hosting support services other than HTML which is basic. Ask whether they can offer CGI, Perl, and PHP etc. Tech support is extremely essential because you don’t want to stay offline for a long period when there is a breakdown. Don’t take anything that does not guarantee 24/7 tech support. Make sure you read and understand the terms and conditions for closing your account if you are not satisfied; you can get cheap web hosting that will not let you down. About Author: This article has been written by Mohit Jain who is tech blogging geek. He is currently working with Best Hosting and Tech, a website that reviews the best hosting software available on the internet. When free he loves reading books and traveling.